I bought a Wii U here in Japan recently, and of course that means all the games are in Japanese as well. but I’ve also noticed a lot of interesting differences between American and Japanese versions of games. The most common form of difference comes in the form of character names, which are often completely changed in America. Let’s take a closer look at character names and the like, in the Mario series, the Pokemon series, and some others! The Mario series is probably one of the most popular game series in both Japan and America. And in both countries, the main brothers are named Mario and Luigi, but most everyone else has different names! 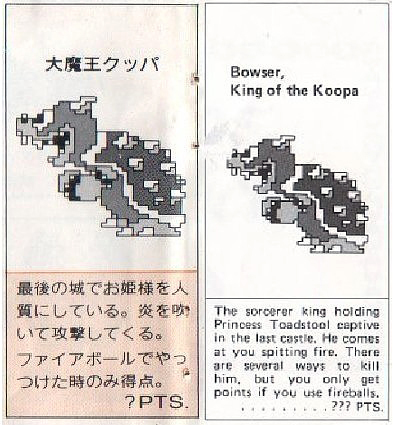 Probably the most well-known is that "Bowser" is known in Japan as "大魔王クッパ", or "Great Demon King Koopa". Apparently Miyamoto wanted to name the character after some kind of Korean dish, and "Kuppa" was the Japanese name of what he chose. Obviously that meaning doesn’t come across in America, so they gave the character a common, somewhat threatening-sounding name. In spite of that, we still call his foot soldiers Koopa Troopas! アメリカで「大魔王クッパ」が「クッパの大魔王」に！ / He goes from "King [named] Koopa" to "King of the Koopa"! In Japan, Princess Peach has always had that name, but in America she’s also frequently called Princess Toadstool. Toadstool is of course another word for mushroom, so it’s a fitting name for the princess of the Mushroom Kingdom. The little guy we call "Toad" is "キノピオ" ("kinopio", a play on Pinocchio) in Japanese. But he’s not a toad at all, so why do we call him that? 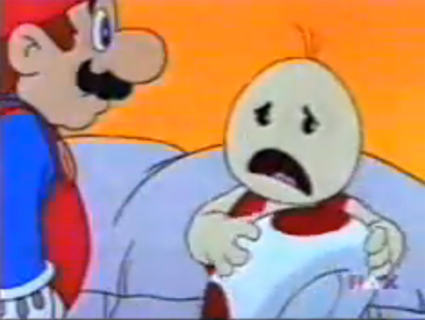 Turns out they just named him after the "toad" in the aforementioned "toadstool", go figure. There’s a lot of other name differences as well. Goombas are "クリボー" ("kuribou"), Lakitus are "ジュゲム" ("jugem"), and Bullet Bills are "キラー" ("killer")! For the record, the whole fiasco about Mario and Luigi’s last name being “Mario” was only ever a big thing in the US. Nintendo has of course officially said that isn’t their last name, so it’s best to just ignore the stuff that says it is. アメリカのアニメではこんなキノピオもいました。 / An American cartoon is the only place we see a hatless Toad. There’s already more than 700 Pokemon, huh. I didn’t count specifically, but of those over 700, over 70% have different names between Japan and America. For the record, I’m only well-versed in the first generation of Pokemon, so I’ll focus on those! For starters, the most famous of the Pokemon, Pikachu, does have the same name in both languages. As far as interesting name differences go, there’s the example of Gloom, who in Japan is called "クサイハナ" ("kusai hana", literally meaning "stinky flower). On the flip side, we have the aptly-named-in-America Ninetales. In Japan they’re called "キュウコン" ("kyuukon"), which keeps the "nine" ("kyuu"), but the "kon" is a more-creative plan on a number of Japanese fox-related words. 臭い花なのは当たり前じゃないか。 / It being a stinky flower is pretty apparent. There’s also some fun cases where the names are the same in both languages! It’s common knowledge that "Arbok" is "kobra" backwards, but the name in Japanese ("アーボック") is the exact same name. We also know that "Ekans" is "snake" backwards, but in Japanese it’s name is just "アーボ" ("aabo"), a shortened version of the Arbok name. It kinda loses its meaning, huh? Kabuto is a similar but opposite example. Its name comes from the Japanese word for horseshoe crab, "カブドガニ" ("kabutogani"), but that doesn’t mean anything in English! Also, for the record, the character "Ash" from the Pokemon anime doesn’t have any "catch ‘em" pun in his name, he’s just named Satoshi after the series creator. 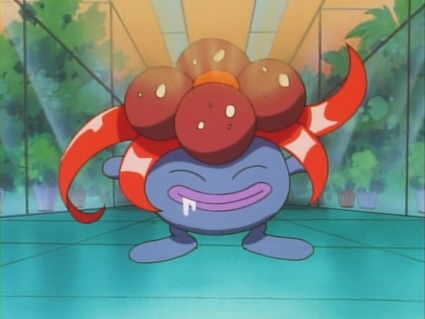 これ見たらポケモンの英語の名前が覚えられます！ / Use this to help you memorize all the Pokemon names! There are some other interesting differences outside of just character names, too! The first entry in the Mother series was never released in the US, so when Mother 2 came out, they used the name "Earthbound" instead to avoid confusion. 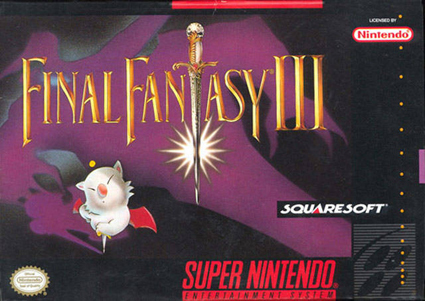 In the same vein, because Final Fantasy 2 and 3 were originally not released in the States, when the 4th entry did come out they retitled it to "Final Fantasy 2". Then, they skipped FF5, and released FF6 as Final Fantasy 3. When Final Fantasy 7 finally came out with the same number everywhere, I’m willing to bet there were a number of people confused about them jumping straight from 3 to 7! The first entry in the 聖剣伝説 (Seiken Densetsu) series was released in the US as "Final Fantasy Adventure". But when the second game was released here, for some reason they dropped that name entirely and called it "Secret Of Mana". The game known in Japan as "Panel De Pon" was released in America as "Tetris Attack", despite having virtually nothing to do with Tetris at all. There’s also the thing where on box art, Kirby always looks happy in Japan and angry in America. 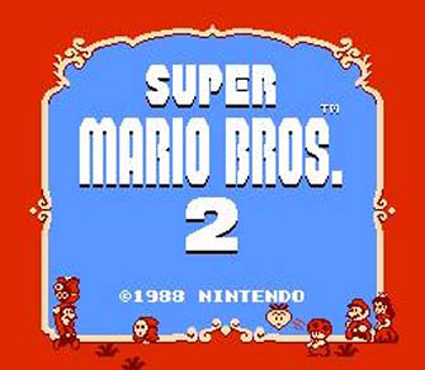 And don’t forget about the whole Super Mario Bros. 2 situation, where the original Japanese SMB2 was supposedly deemed "too difficult" for westerners and our SMB2 is a different game entirely. The game we got was then later released in Japan as Super Mario USA, and we eventually got their original SMB2 under the name of "The Lost Levels". 日本の皆さんが覚えてるマリオ2ではないよね。 / This isn’t what people think of as "Super Mario Bros. 2" in Japan. Here’s another track from my own label Allkore, "VIP Forest 2012" by ピアノ男. A Japanese artist sampling an English fan-song for Super Mario RPG, it’s got the best of both worlds! but I’m definitely intrigued about playing and finding more regional game differences!